Gener8, a browser add-on, allows users to select what type of ads they want to see. Red Bull’s former global brand manager is hoping to give internet users more control over the ads they see by paying them small sums in exchange for their data. Gener8, a browser add-on, allows users to select what type of ads they want to see. In return, they will reward the user with tokens that can be converted into money and be withdrawn or donated to charity. Sam Jones, chief executive and founder of Gener8, left Red Bull after seven years to start the venture last year. He believes Gener8 will create trust in the online advertising system and redress an imbalance in the data value exchange. "Our mission is to be amongst the world’s first brands that enable people to control and monetise their data," Jones said. "We believe we will shake up the advertising industry by putting the consumer first." Users’ data is based on first-party sources that are provided to a publisher or brand, Jones said, with targeting based on a user’s demographic, interest and contextual information. He argues that this money has always changed hands between media buyers, ad agencies and publishers, whereas Gener8 is now bringing consumers into the mix. 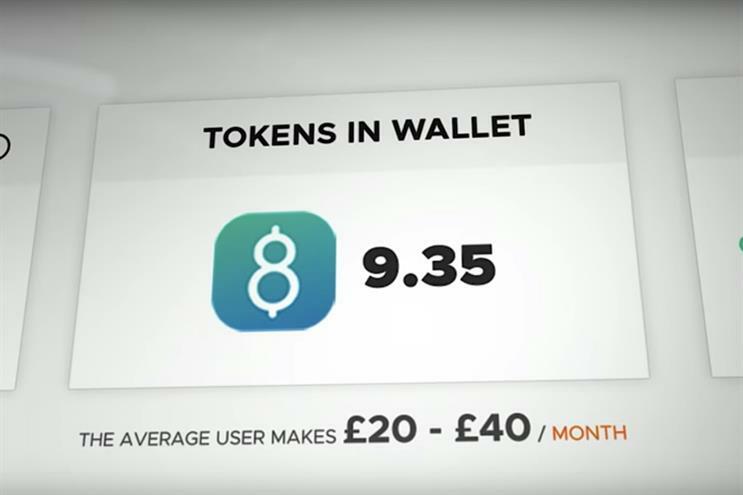 Gener8 has estimated that a typical internet user would expect to receive between £20 and £40 per month. The vast majority (89%) of early adopters are people who have used ad-blockers in the past. Last year, eMarketer found that 2.2 million people in the UK were blocking ads on a personal computer or smartphone, accounting for 22% of internet users. The idea of rewarding people with "micropayments" for viewing content is not a new one. Google announced 10 years ago that it would develop a system for charging users for reading newspaper website content, while in 2016 Pirate Bay founder Peter Sunde and Adblock Plus launched Flattr, an automatic pay-as-you-browse service. However, Gener8 is specifically allowing people to customise the advertising they see instead of editorial content and receive rewards in return for their data. When asked by Campaign whether it is ethical to charge people for their data, given that they may not be fully aware of how it is used, Jones insisted that it would improve things by providing more choice. "We believe in transparency and we believe that people should be told about what’s happening with their data and that they should have a choice to engage with it, to disengage with it or to do something about it. "We simply educate people about the fact that they are valuable, about the fact that on, nearly every website they go to, their data is being used (sold) and, if the user would like, we enable them to participate in this transaction and be rewarded from it." Jones acknowledged that his business model might alarm publishers and said he wants to work with them to move to a "more user-approved model". "When your consumer values your approach and doesn’t feel exploited, you’re more likely to secure their loyalty," he added.